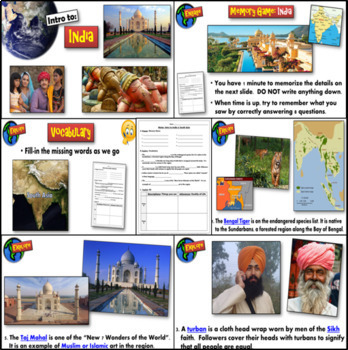 Peek your student’s interest in South Asia with this engaging and thought-provoking lesson! 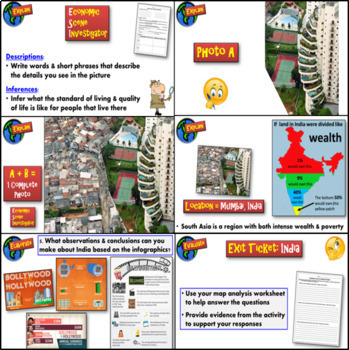 The 5-E guided format introduces the region’s culture, geography, economy, and history with fun activities, intriguing facts, and captivating photos! 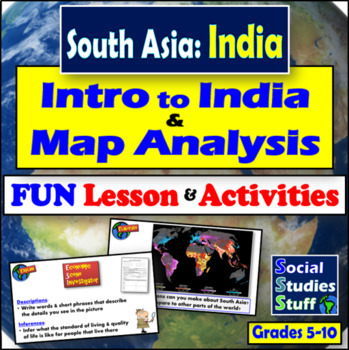 Your classes will be hooked and ready to learn more about South Asia! 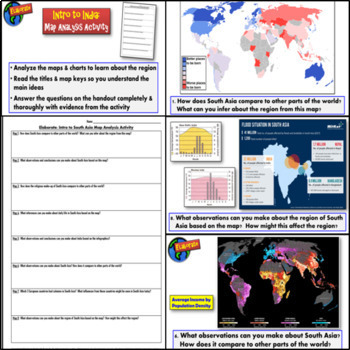 Student-centered, high-interest activities make this an excellent way to begin your new unit! Enjoy the lesson with your class! Check my TpT store for more fun and unique lessons! Thanks! To follow my store simply click on “follow me” under Social Studies Stuff on the top of my store page. You will be the first to receive notifications when I post new products and have sales.